the freedom to modify and adjust according to your needs and level. Chakra Aroma Flow ~ focus is on a specific chakra: poses, chakra aroma, and affirmation seal attention and intention. Restorative Yoga ~ using blankets and props to support effortless postures allowing the body to deeply relax into forward folds, side bending, easy backbends, and twists. Deeply meditative and rejuvenating. with 7 chakra aromas during a Restorative Yoga practice. 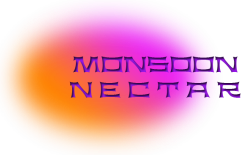 I incorporate Monsoon Nectar Chakra Aromas for the benefits of grounding, calming, motivating, and inspiring your body, mind, and spirit! Aromatherapy affects the limbic system in the brain (mood center) improving cognitive function enhancing an overall sense of well-being. Essential oils have a bio-frequency which can scientifically be measured in megahertz. Of all of the aromas that we smell, essential oils have the highest reading. When a person is healthy their bio-frequency is high and when they are in poor heath their reading is low. Aroma brings joy to your practice for greater mental clarity, inspiration, and ease. Hatha ~ Hatha refers to the practice of physical yoga postures, meaning your Ashtanga, Vinyasa, Iyengar and Power Yoga classes are all Hatha Yoga. The word “hatha” translates two ways: “willful” or “forceful” ~ the yoga of activity and as “sun” (ha) and “moon” (tha) ~ the yoga of balance. Hatha practices are designed to align and calm your body, mind, and spirit in preparation for meditation. Gentle Yoga ~ Foundational hatha yoga poses for the beginner, someone recovering from an injury, or advanced practitioner looking to compliment a more vigorous practice. Chakra Aroma Flow ~ Chakra specific essential oils and postures corresponding to energy centers in the subtle, or energetic body. Enhance your bio-frequency and rebuild innate circuits of harmony with traditional yoga postures integrated with awareness, mindful breath/pranayama, alignment, and aromatherapy. Classic hatha asanas warm the body to flow through vinyasana sequences. Taught at level 1, 2, and 3 so you can customize your practice every time. Experience greater comfort and ease in your body by increase your strength, stamina, and flexibility in your body and your mind on and off your mat! Chakra Energy Balancing Restorative Yoga (RY) ~ Based on the principle that less is more. The main purpose of RY is to trigger the parasympathetic nervous system which is responsible for balancing the body and bringing its response system back into equilibrium. The parasympathetic nervous system helps to lower blood pressure, lower heart rate, healthily stimulate the immune system, and keep the endocrine system functioning well. Scientific studies have proven the “relaxation response” and the physical and emotional benefits that come from practicing RY. Practice RY as compliment to a more vigorous practice, when you feel fatigued or stressed, before or after major life events: death of a loved one, change of job or home, marriage, divorce, major holidays, vacations, or when you are ill, injured, or recovering. Blankets and props are used so support the body in passive postures where gravity does the work. You are guided through specific postures, color visualization, and affirmations, and aroma correlating to each chakra (energy center in the body). Come prepared to be still and let go! Refine your practice with grace and poise on and off your mat.